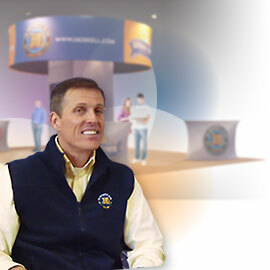 "Our company challenged Val Print to create a new trade show display for the 2012 World Ag Expo. Val Print's team delivered a dynamic trade show booth that met all the creative and budgetary requirements for this important project." 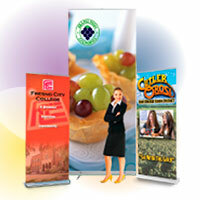 When it comes to showcasing your products or services let ValPrint show you how to enhance your marketing efforts by creating a visually appealing trade show or display. We’re all about results that help you make the best impression and getting the best value for your marketing dollars. 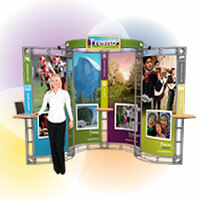 We are very proud of the many trade show booths and displays we have helped create for our customers. So, take a look at some of the recent projects we have completed and give us a call to see how we can help make your next trade show experience the best ever. Visit our showroom anytime at 1257 G Street, Fresno California. 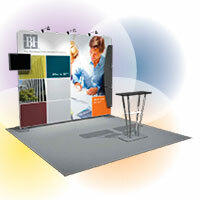 Light-weight, portable display systems with multiple design possibilities. Command attention with a heavy-duty aluminum structure and functional, yet stylish features. 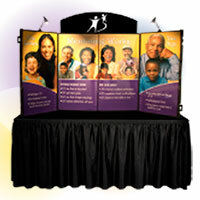 Fully magnetic popup display system provides a graphic or velcro receptive fabric backwall. 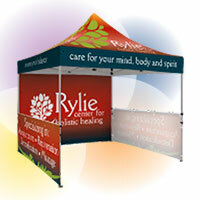 Premium Retractable Screens provide superior style, highend functionality and durability. 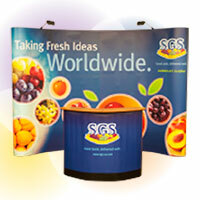 Specially developed table top displays are a great choice for promotions on the go. Premier portable shelters feature a durable, lightweight, rust free frame that is the ultimate in value and ease of set-up.